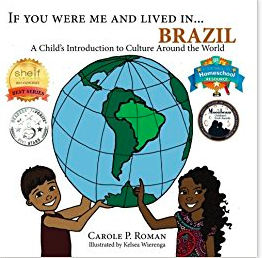 I was so excited that we were getting the opportunity to review more from the Carole P. Roman Books and Collections - If You Were Me and Lived In....geography series from author Carole P. Roman. 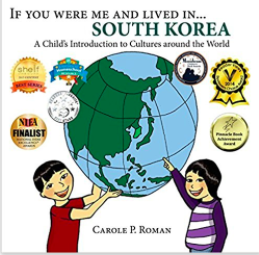 We received the If You Were Me and Lived In ... Brazil, If You Were Me and Lived In ... South Korea and If You Were Me and Lived in .... Greece titles for review. We LOVE using all the different books that she has written, and these titles were no exception....they fit in great with our studies. In this story, you are whisked away in "travels" to South America to the country of Brazil. Throughout this 30 page story, colorful illustrations and photographs of the country are highlighted. Children are introduced to brief historical facts, geographical features and even the demographics about each country. In this case, we were learning about Brazil. A few Portuguese phrases are introduced to the students in their reading. Just enough to entice them to look up more phrases to learn in that language. In the back of the book there is a pronunciation guide to help students ensure they are saying the words properly. I love that these stories written by Carole P. Roman include all the information we normally look up on each country we "visit" in our geography studies. We were able to learn more about the rainforest habitats. Because we all know how much Lydia wants to learn about the animals of the world. But Caty was also happy to learn more about the food of the country. This really helps out a lot since we try to have a culturally themed meal to go with our "travels". If You Were Me and Lived In ... Brazil also introduces students to games, sports and even holiday traditions from Brazil. We were able to read this story several times throughout our week learning about other countries. We happened to receive our review copies near the conclusion of the Winter Olympics, so we were already talking about various countries that were popping up in the games as we were watching. We were very excited to get a chance to read the next story, since they were the host of the Winter Olympics, and the kids also recognized it from various news reports over the last few months. If You Were Me and Lived In ... South Korea also is roughly a 30 page title, that includes full-color illustrations. As with all of the titles in the If You Were Me and Lived In ... series, the opening pages includes a global view of the country so that you student becomes more familiar with the country's exact location. In If You Were Me and Lived In ... South Korea your student will be introduced to words and phrases in the Korean language. The words are in parenthesis next to the phrase in English. At the back of the story, a pronunciation guide is given to help students verify they are saying the words properly. If You Were Me and Lived in .... Greece helped to continue in our studies and keep our interests in studies of other countries that we saw at the Winter Olympics. 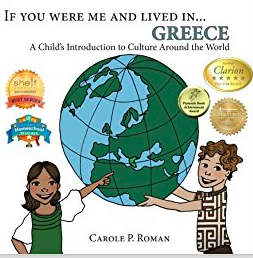 The format of all the stories in the If You Were me and Lived In ... geography series stays pretty close to each country, so If You Were Me and Lived in .... Greece has the same elements as the previous two stories we had read. I appreciated this, and it helped in my planning. Some stories contain only full-color illustrations, while other stores contain actual photographs of spots in that country. It was like the later in If You Were Me and Lived in .... Greece. We were able to immerse ourselves even more in the country we were "traveling" through. 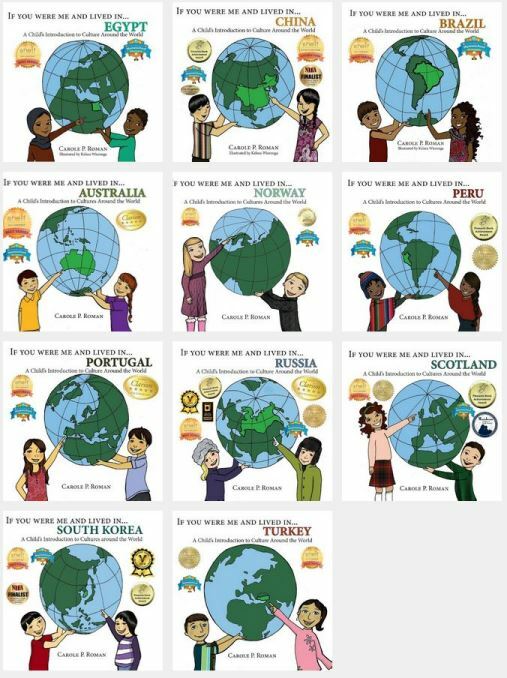 The books in the If You Were Me and Lived In....geography series are so awesome to use in conjunction with any and all Geography studies that you are using. You can easily fit the reading into basic elementary studies, through middle school. I am so grateful to have been introduced to the Carol P. Roman Books and Collections. It has really helped out our geography studies. She is such a versatile author and also write children's fiction picture books and early chapter books. Last year we had the opportunity to review her new series - Oh Susannah (Early chapter books).... Caty thought these books were awesome! (She even got a special autographed copy in the mail that she keeps in a special spot in her school desk). Another of Carole P. Roman's series that we love is her If You Were Me and Lived In ..... history series. Not only will your child be swept to a new geographical location, but also back in time. It's like a time machine in your living room!! Carole's books have added so much to our homeschool, and we are always excited to see all the new books that she has coming out! 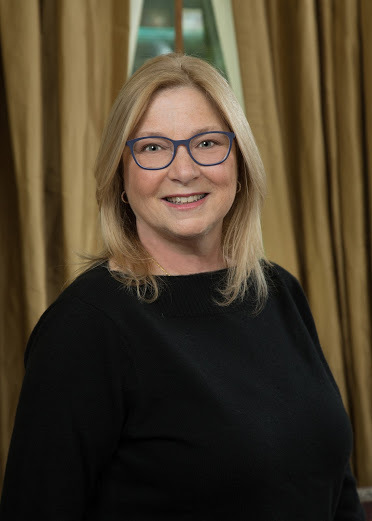 Please be sure to check out all the titles that Carole P. Roman has created for your enjoyment and learning! Several members of the Homeschool Review Crew were given the opportunity to review several different titles from Carole P. Roman. Be sure to visit the link below to see how they used these titles with their families. Also check out Carole P. Roman on Facebook to keep up-to-date on what she has coming out!